Is It Important to Network With Other Agents? We’ve all heard that networking is an essential aspect of strong business development. What many in the real estate industry don’t seem to get, however, is that networking’s sole aim is to grow and promote your business. Looked at through that lens, the value of networking for real estate agents lies in hanging out with people that can help them find clients, not those that are competing for those very same leads. It appears that the real estate industry generally conflates networking with socializing, and those are distinctly different animals. Remember, other agents in your market are highly unlikely to promote your business in any way, shape or form, so networking with them, in the strict sense of the word, is useless. Socializing, on the other hand, may be of immense value, but for different reasons. Who doesn’t need to blow off steam from time-to-time, and what better way to do that than with someone who does what you do for a living? Who else understands the frustration of a listing client who insists on overpricing the home, or the buyer who lowballs every list price and wonders why his offers aren’t accepted? From commiserating to sharing ideas, having lunch, cocktails or coffee with another agent in your market is good for the soul. Just don’t think of it as networking, and don’t waste valuable time socializing with your competition under the guise of networking. Say hello. No matter where you are – in line at the restroom, at a booth on the exhibit floor, waiting for a cocktail at the hotel bar – smile and say hello to everyone. This one simple word can spark a conversation, a connection, and maybe even a real estate deal down the line. Take advantage of breaks between speakers. This isn’t the time to check voicemail and email. Author and speaker Thom Singer suggests that you smile at people, approach them and ask questions, such as, “How are you enjoying the conference,” or “Who is your favorite speaker so far?” Ditch the elevator pitch, or “verbal vomit,” as Singer calls it, and get the other person talking about him or herself. Then, don’t forget to listen. Avoid sitting with someone you already know, unless it’s to nurture a new relationship. The idea is to expose yourself to as many new people as possible. Arrive early to the evening events. This is especially important if you’re on the shy side. This way you won’t feel all eyes on you when you walk in. Plus, the conversation starts up around you. Instead of having to walk into a conversation, you’ll already be a part of one. Make a quick note on the back of all business cards you receive to help you remember where you met the person and the highlights of what you chatted about. Follow up isn’t just for clients. Follow your new associates on Twitter, invite them to be friends on Facebook, and email things of interest occasionally. Just as you keep in touch with past clients, reach out and touch your agent contacts across the country and the globe to remind them that you sell real estate in your town. Real estate agents only have so many hours in a day to devote to each aspect of a thriving business. Networking time should be spent with other businesspeople – especially those who can help build your business, such as lenders and title people. Sure, it’s important to maintain good working relationships with other agents in town, but not at the expense of getting yourself in front of those who can help you. When time is at a premium and you have to choose between networking opportunities, go with the one that offers the best chance that you will be the only real estate agent in the room. Then it shouldn’t be called Networking. Socializing, knowing your co-workers or having a certain amount of respect for others in the industry which is vital for a smooth transaction. 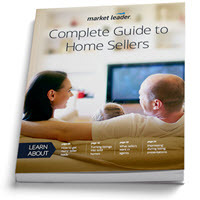 Improve your ability to generate seller leads, turn them into clients, and sell their homes using this free 28-page guide. Subscribe to our emails to receive free educational resources.